By Mary and has 7 comments. With the long, dark chilly evenings slowly creeping in it’s tempting to crank up the thermostat and lounge around in the heat without a care in the world. Stop, think before you do. With a few simple tricks and minor adjustments you can drive your energy costs down and the good news is, lowering them doesn’t require spending money. There are simple ways in which you can enjoy the warmth and save energy in the long run. Many of us keep our thermostats set too high. Check your thermostat and if it’s set above 20ºC turn it down. If that feels too cold, try turning it down in stages, starting at a comfortable temperature and going down by one degree each week to give yourself time to adjust. Lowering your thermostat by just 1ºC will knock 10% off your heating bill. You can also keep temperatures lower in hallways and corridors, as you’ll never normally be in there for more than a couple of minutes at a time. 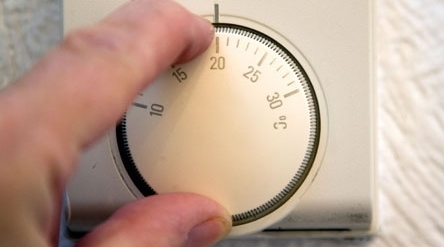 Make better use of the timers on your immersion or boiler so you can control when the heating comes on and goes off. This means you have heating and hot water when and where you want it. By understanding the controls you can always wake up and come home to a warm house without leaving the heating on 24/7. So, remember when setting the controls it will take a while for the house to heat up when you turn it on and to cool down when you turn it off. Ideally set the heating to come on 20 minutes before getting up and to go off 15 minutes before you leave the house. If you’re out and about all day remember to set it to come on 20 minutes before you return home. This will be enough to take the chill out of the air and ensure a comfortable warm home. If on the other hand you’re going to be busy preparing meals, catching up on housework etc. when you arrive home well then there is no need to have the heating coming on before returning because you will be warm enough while rushing about. Turn off 20 minutes after you go to bed. There is no need to have the heating on while you sleep. Close room doors to separate heated from unheated areas of your home, and minimise the area you are heating. If your home is anything like mine you’ll spend your evening closing doors behind everyone! There is no need to spend money heating rooms that are not being used. Close your curtains at night – open during the day to let the sunshine in! Much of the heat loss from a house occurs through the windows, particularly if they are single glazed. So keep your curtains closed at night, even in empty rooms and also ensure that the curtains don’t hang over the radiators as that will just funnel all your heat out the window. If the radiator is mounted below a window, a projecting window-board or shelf above the radiator will direct warm air into the room, reducing heat loss through the window. Remember to open them during the day to let the warm sunshine in. Check the house for draughts. Light a candle or incense and hold it up to doors and window frames. If the candle flame flickers or the smoke of the incense flows towards the window, there is a draft there. Seal up the leaks. Look for places where you have pipes, vents or electrical conduits that go through the wall, ceiling or floor. Check the bathroom, underneath the kitchen sink, pipes inside a closet, etc. If you find a gap at the point where the pipe or vents goes through the wall, seal it up. 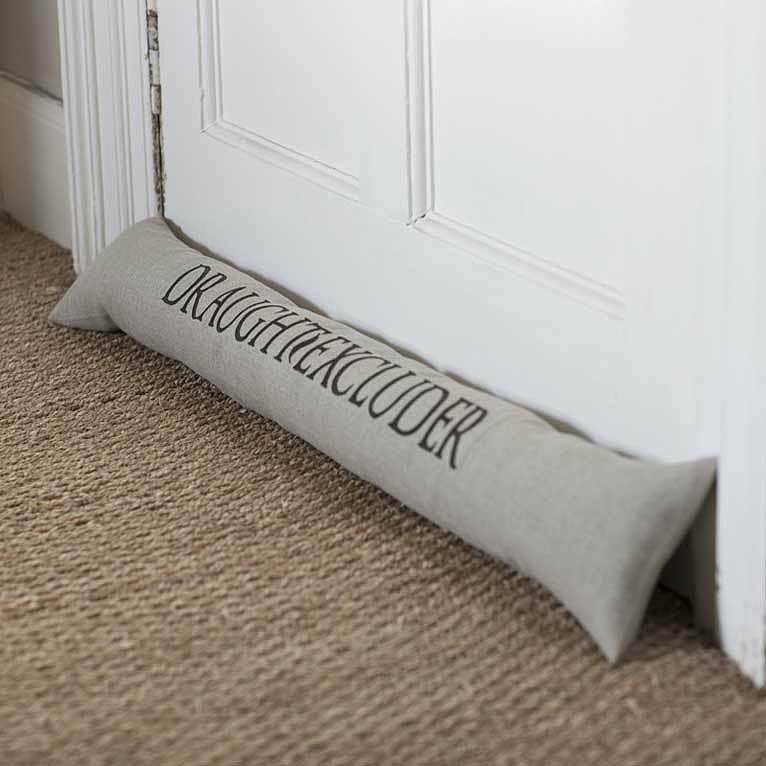 For a no cost way to seal you can try using scrunched up old newspapers, old towels etc. 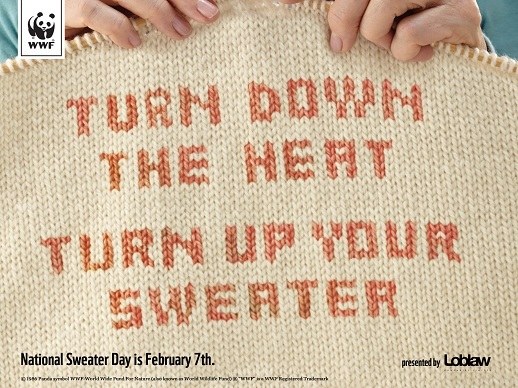 And now for some old fashioned advice…… turn down the heat and put on a sweater 🙂 Mums are always right! 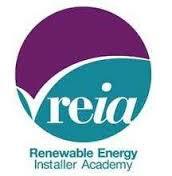 Free Energy Efficient improvements available. 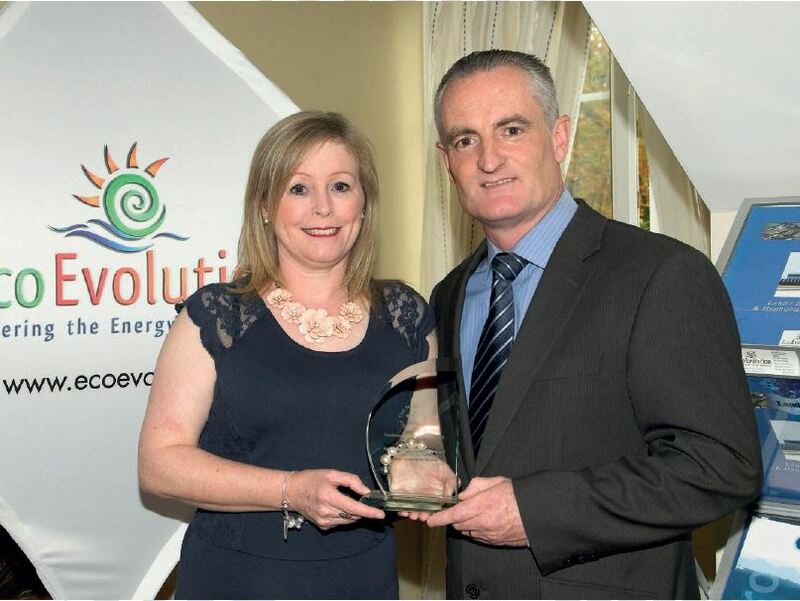 The Better Energy Warmer Homes scheme administered by the Sustainable Energy Authority of Ireland, funds energy efficiency improvements in the homes of the elderly and vulnerable, making the homes more comfortable, healthier and more cost effective to run. 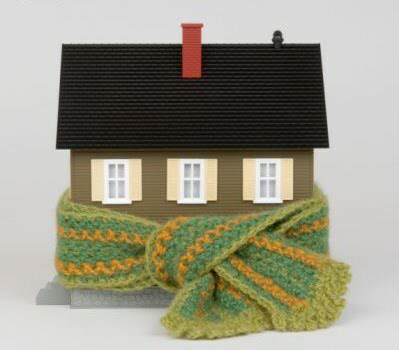 What advice would you give to keep warm and save energy? Photo Credits: Photopin and Wexford Local Development. 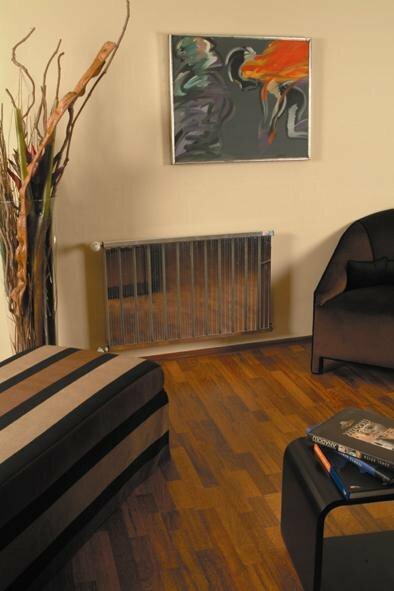 Combining efficiency, style, and choice, ALURAD radiators really are the Perfect Radiator. 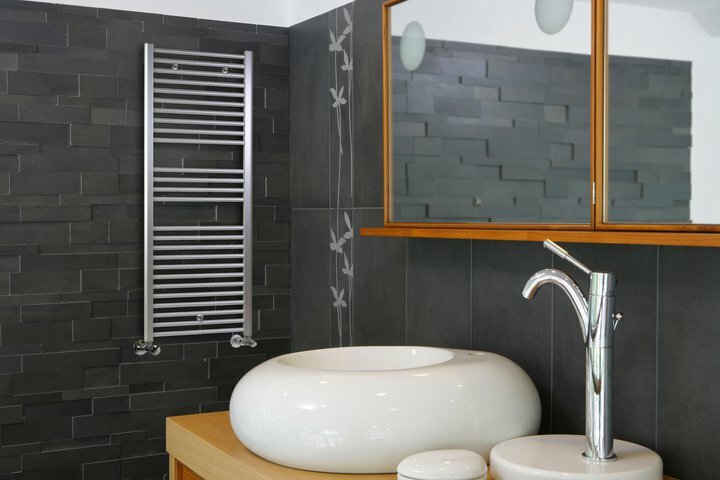 ALURAD radiators are manufactured from high grade aluminium and offer you the chance to build your own heating system customised to both your heating and interior design needs. 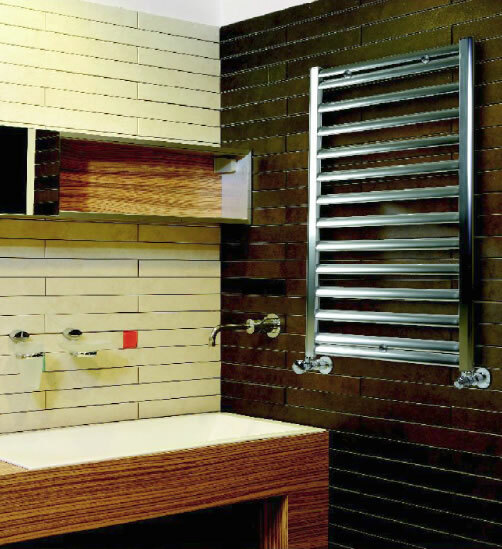 ALURAD radiators are available in a range of different sizes and styles to suit every application and there are a number of towel rail options also. The HSE recommended surface temperature of radiators in health and social care facilities is 43°Celsius. ALURAD radiators work well at these lower temperatures and are well suited to use with renewable heating systems such as heat pumps as well as more traditional systems such as oil and gas boilers. 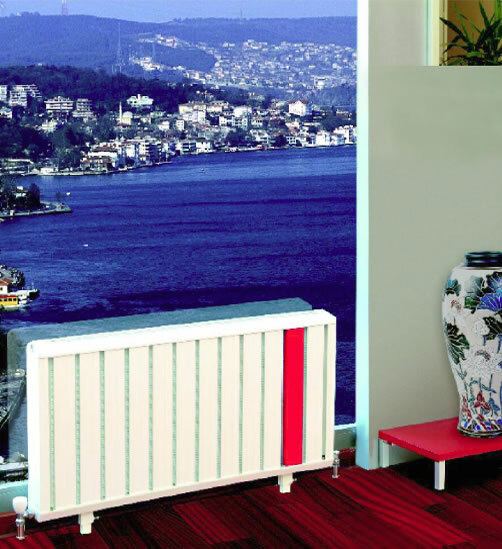 ALURAD radiators are ideal for hospitals, nursing homes, care centres, schools, public buildings, offices and homes. By reducing the water content of your central heating system by over 50%, Alurad save energy and provide instant-response heating. The vertical Klas are perfect for kitchen/dining areas where wall space for a radiator is tight. 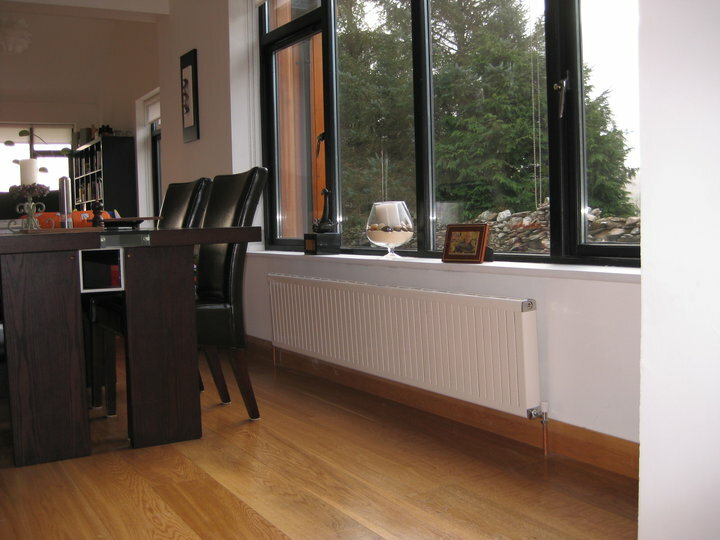 The vertical Klas are perfect for kitchen/dining areas where wall space for a radiator is tight. Alurad has developed the Klas model by using the “Cross Air Flow” principle and the very popular narrow profile. The high temperature achieved through Crosss Air Flow radiates into spaces rapidly and homogenously ensuring high levels of heating comfort. 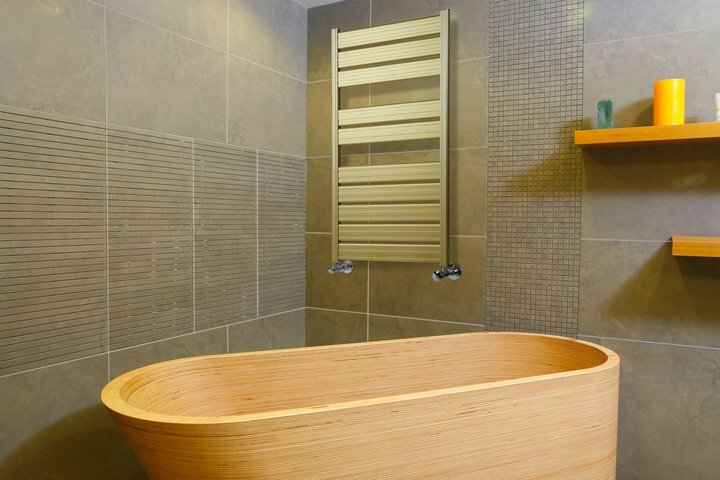 The Mistral models are a popular choice with renovators looking for a neater, more sleek radiator. Reflecting modern design techniques and with its soft contours, Mistral offers a different sense of aesthetics for the user. 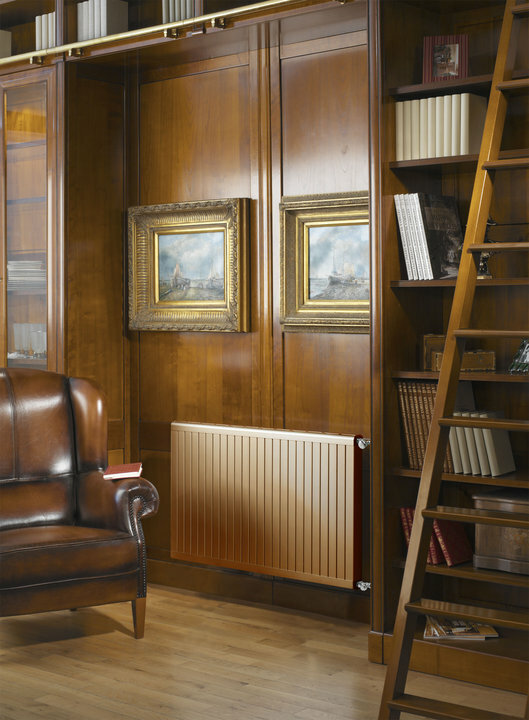 Mistral’s narrow segments, curved casing and heating power distinguish it from other radiators. Alurad have combined the high efficiency of Klas with the unique aesthetics of Mistral to develop the Meltem model. Alurad Kemer is different from other radiator models as it is designed for embedded installations and/or to be used as a baseboard. Alurad Kombi – Created by combining two Alurad Klas radiators, Alurad Kombi is a perfect free-standing option for open spaces where high levels of heat output are required. kombi can be floor or wall mounted. Alurad Atlantis are designed to offer clear, sharp lines as per the preference of many architects and engineers. ATLANTIS look great with a splash of colour on one or two segments, enabling you to boldly match your room’s colour scheme. 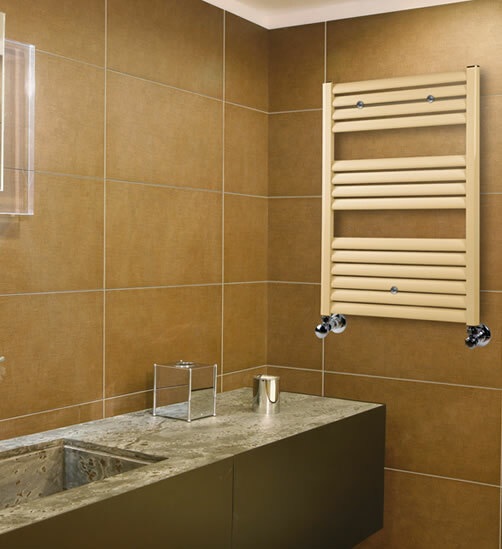 Except for very large rooms, ALURAD bathroom towel rails will provide all the heat you need in your bathroom. There is no need for a separate radiator. Alurad high efficient radiators are available in 10 models and with up to 15 colour options, can be tailored to any interior design scheme. Alurad will be approximately 40-50% smaller than conventional radiators, to provide the same heat output. Alurads use approx 80% less water than conventional rads and heat up 4 times faster, used in conjunction with modern heating controls Alurads will save on your energy bills. 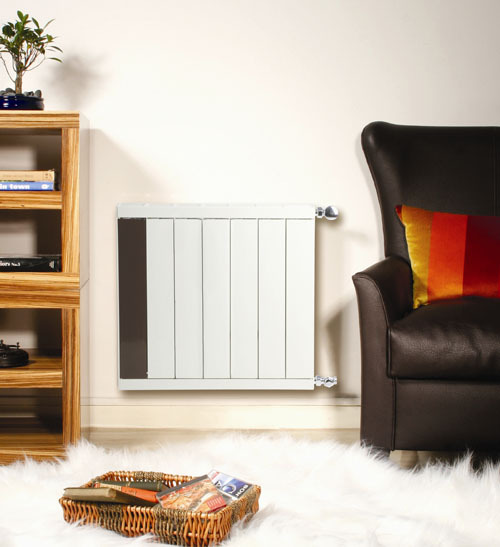 Steel radiators heat up relatively slowly and will stay warm for some time after the heating is turned off – this heat is surplus to requirements and therefore a waste of energy. In contrast, Alurad will heat up almost instantly bringing your entire house up to temperature rapidly. When the desired temperature is reached, the Alurad cool down relatively quickly. There is no waste of excess heat. They are 30 to 50% smaller than conventional rads to provide the same heat output due to their high heat transfer as a result of their design and efficiency. They also save wall space of course because of their superior heat transfer per unit area. Efficiency is a productivity metric, for example quantity or speed, whereas Effectiveness is a quality metric. Alurad are more effective in heating a space compared to conventional rads due to their high efficiency as explained above. The raw material and design superiority of Alurad provides excellent heat efficiency. See online brochure at http://www.ecoevolution.ie/alurad_flash.html , page 26 explains the operation principle of cross air flow that is used in some of the Alurad products. We were invited by Daikin to visit their manufacturing plant in Bruges, Belgium. Daikin has more than 50 years of experience with heat Pumps and provides more than a million of them to homes and commercial applications each year. Daikin Altherma is a total domestic heating and hot water system based on air source heat pump technology. It represents a flexible and cost-effective alternative to a fossil fuel boiler, with a cooling option. The inherent energy efficiency characteristics of Daikin Altherma make it an ideal solution to reduce energy consumption and CO2 emissions. 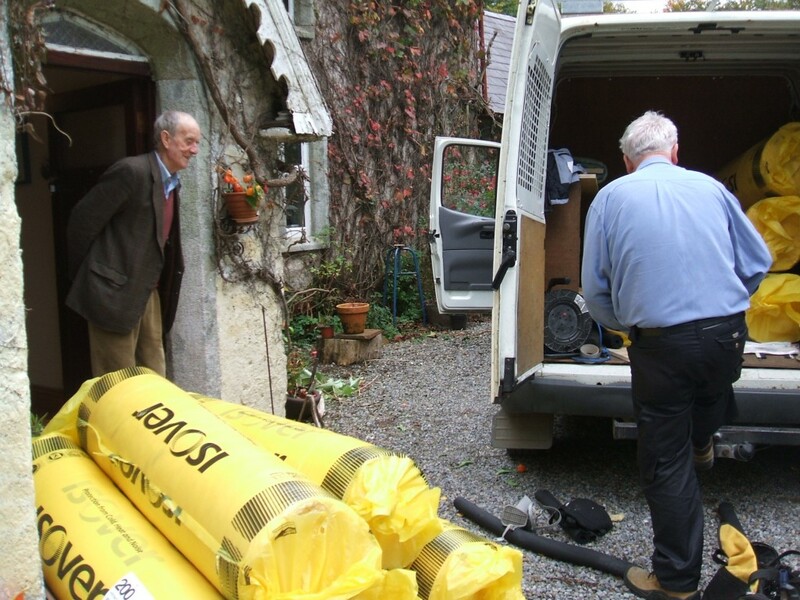 People are becoming more and more aware of the cost of heating. Traditional heating systems and boilers use fossil fuels, making them an expensive and non sustainable option for the environment. Nobody wants to waste their money. Since two thirds of the heat generated by the Daikin Altherma air source heat pump system is free of charge and maintenance is minimal, the perfect solution is just around the corner. Daikin Altherma air-to-water heat pump quickly creates an optimal room temperature for you and your family. You enjoy a comfortably warm environment in just 3 steps. 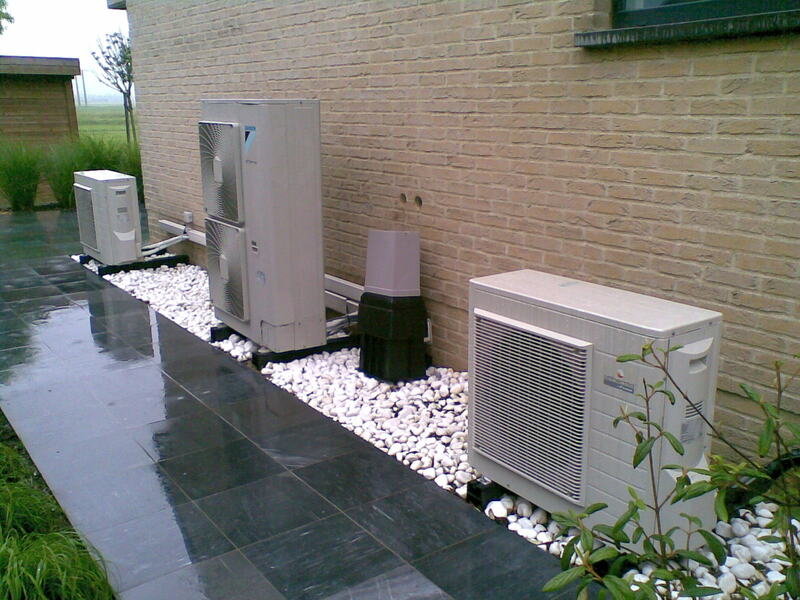 The heat pump extracts free low temperature heat from the outside air. The Daikin Altherma is the ideal choice for both New Build and Renovations. 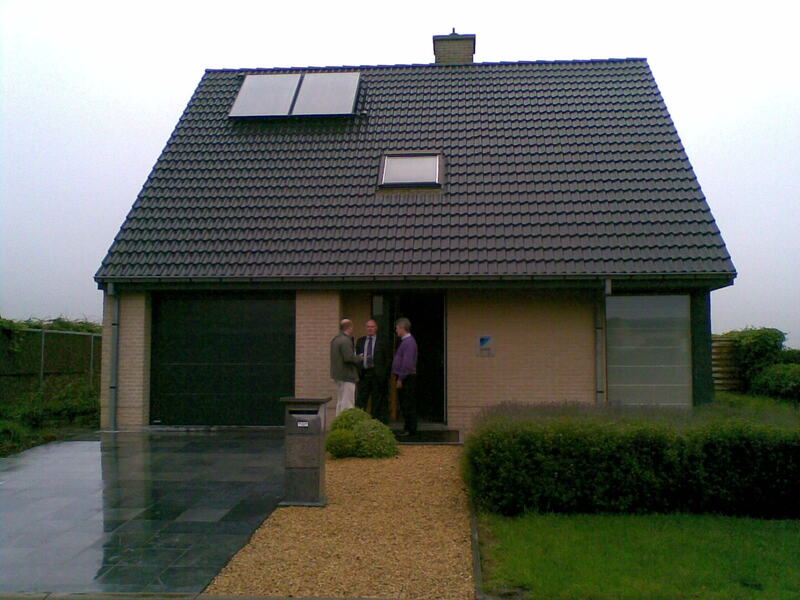 It is available in both a Low Temperature and a High Temperature Heat Pump option. For New Build there is the Split Option or the Monobloc Option. Split Option: Consists of an Outdoor Unit and an Indoor Unit. The Outdoor Unit extracts heat from the outside air and raises its temperature to a level high enough to supply heating. This heat is then transfered to the indoor unit through refrigerant pipes. The compact outdoor unit is easily installed, and no drilling or excavation work is required, it can also be installed in flats and apartments. The Indoor Unit heats the water that circulates through low temperature radiators, floor heating systems or fan coil units and also provides domestic hot water. If you opt for the combination of heating and cooling, then the indoor unit can also decrease the water temperature to distribute a refreshing coolness. Monobloc Outdoor Unit: All in one. In addition to Daikin Altherma indoor and outdoor unit systems, Daikin has introduced a Monobloc version in which all hydraulic parts are located within the outdoor unit. 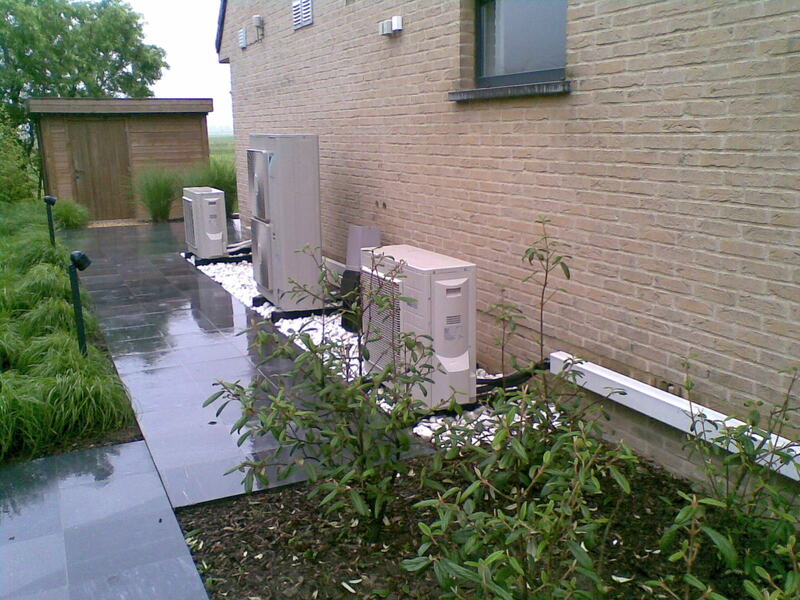 In this system the water pipes, rather than refrigerant lines, run indoors from the outdoor unit. 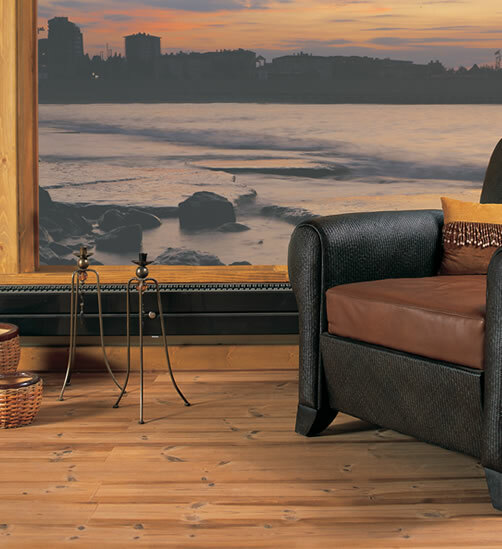 The monobloc can be used for both heating and cooling. The Daikin High Temperature Heat Pump for Renovations consists of an indoor and outdoor unit. The outdoor unit extracts heat from the outside air and raises the temperature to a level high enough to supply heating. This heat is transferred to the indoor unit via refrigerant piping. The indoor unit then increases the temperature, allowing water temperatures up to 80 degrees Celsius for heating through traditional steel radiators and for domestic hot water use. Easy replacement of existing boiler, without changing heating pipes. Daikin was the first company to obtain the Eco-label for its Daikin Altherma air-to-water heat pumps. 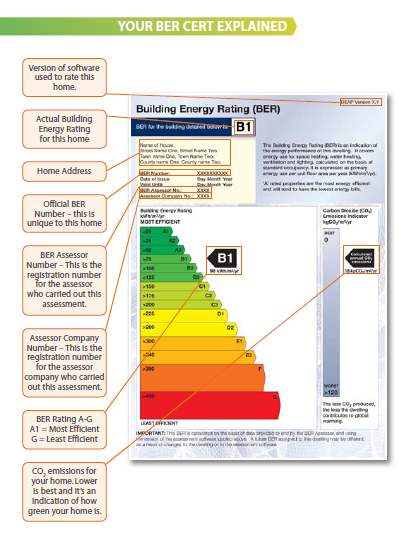 The EU awards an Eco-label to a heat pump when its evaluation shows it to be more energy efficient than the average for heat pumps without an Eco-label. In being awarded the Eco-label, Daikin Altherma was assessed in a range of categories: heating and cooling efficiency, refrigerant global warming potential (GWP), noise, training, documentation, availability of spare parts and detailed information at point of sale.